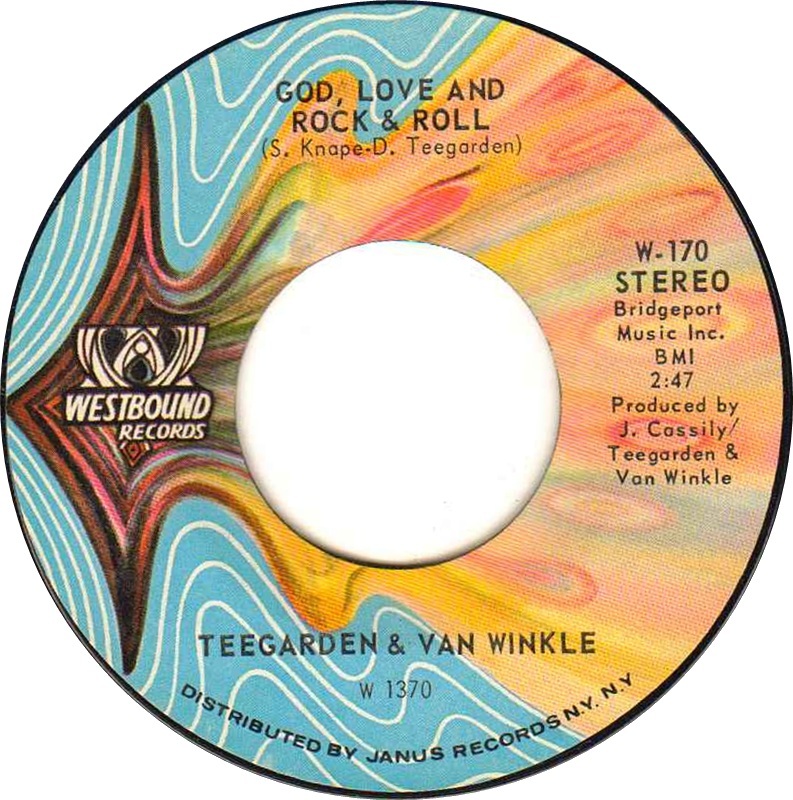 “Oh, wow!” Song Of The Day: Teegarden & Van Winkle – God, Love And Rock & Roll (1970) – Top 10 Flashback! Yes, people actually once came to Detroit to find success. Here’s one such tale. David Teegarden and Skip Knape (a/k/a Van Winkle) first came together in their hometown of Tulsa, Oklahoma in the early 60’s while in a local singer’s backup band. They later formed their own band, went their separate ways, and knocked around the Tulsa club circuit throughout the 60’s. They found each other by chance years later in Los Angeles at the home of a fellow Tulsa musician made good, Leon Russell. The duo recorded one single as the Sunday Servants that went nowhere, then toured as a backup band, playing at clubs with singer Denny White. When White suddenly quit the act while in Nevada, Teegarden & Van Winkle carried on as a duo to fulfill their obligations. They returned to Tulsa for a while, then set off for Detroit in 1969. Teegarden & Van Winkle recorded two albums in their new hometown that, again, went nowhere. They did find work as part of Bob Seger’s backup band; their relationship lasted several years. Finally, in 1970, they recorded today’s featured song for Detroit’s Westbound label. 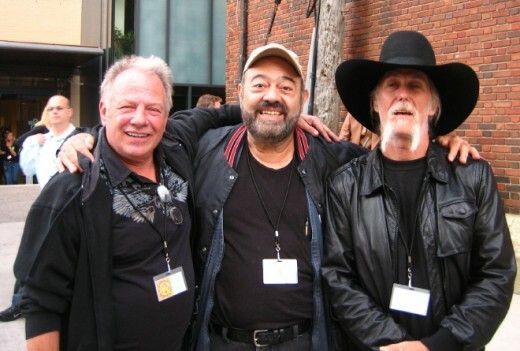 It took a while, but the song became a hit in the Midwest, then went national, and peaked at #22 on the Billboard Hot 100 and #7 on Canada’s RPM Magazine chart. My guess is it did so well in Canada thanks to airplay on CKLW, where it peaked at #3 at the end of September 1970. 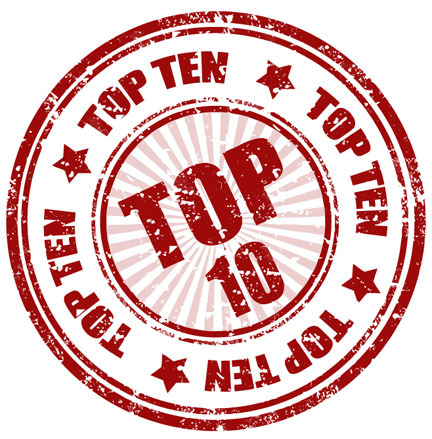 It did even better on competitor WKNR, where it held the #2 spot for the first two weeks of October. The duo also hosted the Goose Lake music festival in August 1970, which was as close to Woodstock as we got in Michigan. 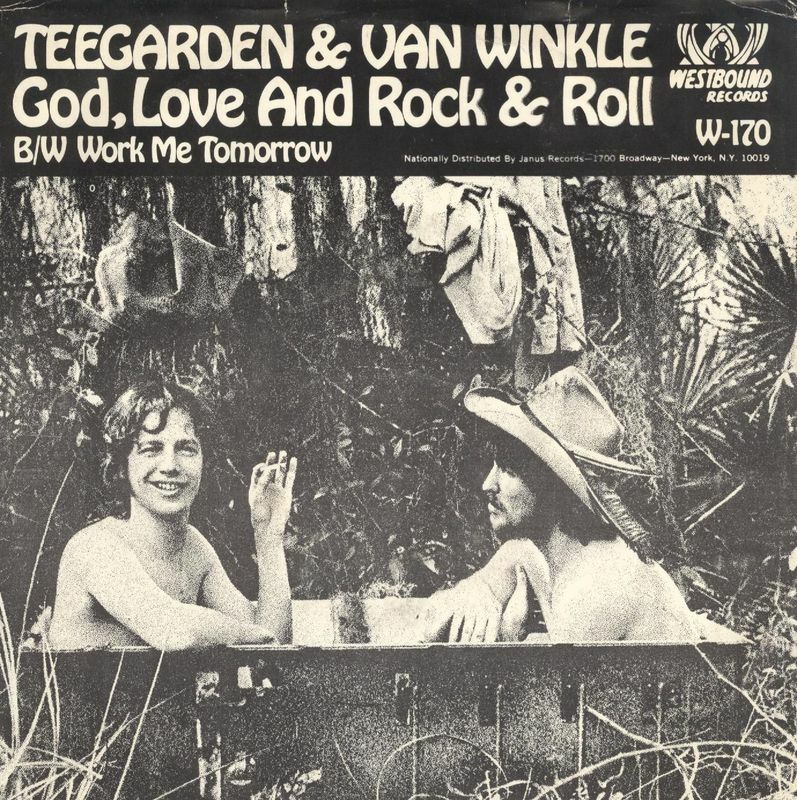 Unfortunately, that was it for Teegarden & Van Winkle’s success – they recorded two more albums, both of which stiffed, and continued working with Bob Seger, appearing on his album Smokin’ O.P.’s in 1972. They did one more album together in 1997. Feeling free now? Happy to help. Come back next time as we rescue another song from radio’s dustbin.